That joy in finding a new band just never goes away. The mediums have changed from the old tape deck to my first CD burner to freaking Bandcamp, but as access to new music has become easier, there are still few joys in life as exciting as seeing somebody take the stage and blow you away. That happened for me at Fest 10 when the three piece Worthwhile Way played at Durty Nelly’s, a piss’n’vinegar soaked dive in Gainesville that, at the time, didn’t even bother with a soundboard. Playing their brand of happy, poppy punk, Worthwhile Way burned through a powerful and pogo-y set that called for an encore—a no-no in Fest scheduler books—but a welcome moment to celebrate the band’s 7,000 mile journey to get to that tiny stage. Three years later, I’m still basking in that sound. They released a full-length last year, but I wanted to get some insight into their many EPs and in how the band works, both at home and abroad. Scene Point Blank: First, can you talk a bit about how the band formed. It was formed by Mayu and Chege, and you joined later. How did the current line-up come together? 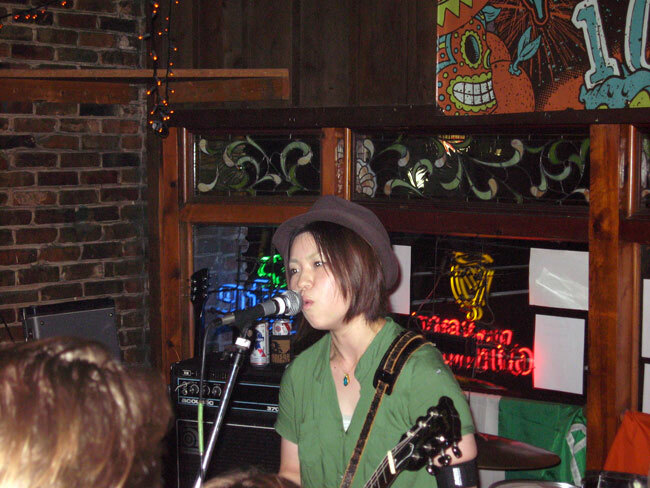 Aki: Mayu (Vox and Guitar), Kaori (Bass and Vox), and Hiroaki (Drums) got started in Tokyo in 2002, but Hiroaki left the band sometime in 2004. Later, I (Guitar) and Chege (Drums) joined the band at the same point. It was probably nine years ago. 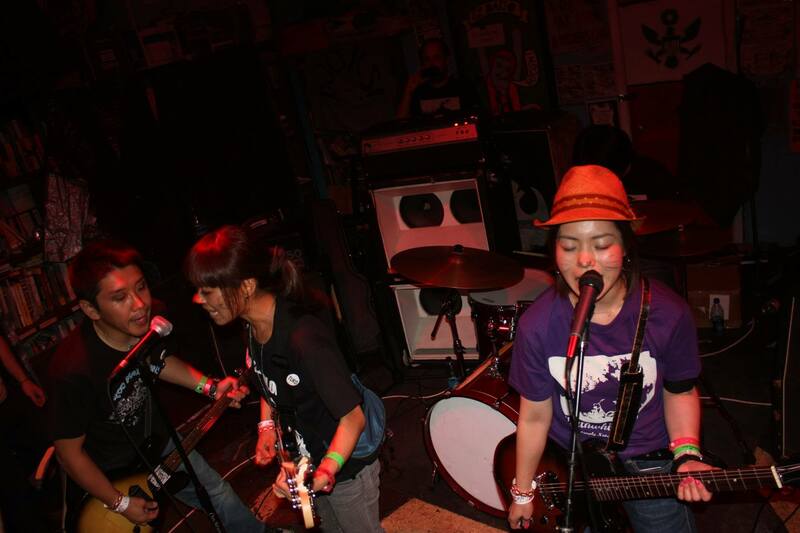 I and Chege have been running the band together for a long time in Tokyo. We also have been supporting Worthwhile Way all the way since the early stages. Scene Point Blank: You're married to Mayu—was there any hesitation to combine band life with your home life? Aki: No problem, no problem at all. I and Mayu always discuss any problems that come up with all members. Scene Point Blank: The band seems really positive in focus, which isn't all that common in punk rock, where cynicism rules the day. Is it a conscious choice for the band to go in this direction or is it a reflection of your personalities? Aki: We were told that the band seems positive, Everyone has negative and positive thoughts, right? That makes two of us, too. I don't care whether it is a definition of punk rock, punk rock thoughts, and DIY. Everyone has negative and positive thoughts, right? I don't care whether it is a definition of punk rock, punk rock thoughts, and DIY. Scene Point Blank: Last year Love Is All was released in the US. How long had you been trying to get a full-length released outside of Japan? How did you get involved with ADD? Aki: Yeah, yeah. Love Is All was our first release as a full-length in Japan and outside of Japan too. We know that work took a lot of time. Personally, I had liked ADD since a while back. Dave Disorder from ADD checked our show the first time at the Fest 9 in Gainesville, FL, I guess. I got an email with kind words from him when we got back home. The next year, the ADD family (bands and folks) and Too Many Daves looked after of us while we stayed in Tampa/Gainesville, FL. And the year after, we had a few shows included Awesome Fest 666 where we played with Too Many Daves. And now, he's our best friend. ADD is an awesome label. We will never forget their sweet heart. Scene Point Blank: You've also released a lot of EPs and a fair amount of those songs appeared on the LP. Do you have a preference between EPs and LPs? Aki: Yes, we have a lot EPs. We had re-recorded all of those songs from previously released EPs appeared on the LP. Those songs like that are on our EPs are all important and favorite for us. That is why we had those songs on the LP again. You've got any problems, huh? If I had to say, I have a preference for the EPs. Scene Point Blank: Why the preference for the EPs? Do you just like that format better? Aki: The EPs can be easily listened to anytime. I like to reverse a record in about 2 or 3 songs. Scene Point Blank: How did Eager Beaver Records get started? Aki: Mayu and I started the online record shop as secondhand stuff, not a label. It was around 12 years ago. It's our 10th anniversary as a label. Scene Point Blank: How did you make the transition to putting out records instead of just selling them? Aki: I wanted to put out records for my previous band and Worthwhile Way in those days. That's all. Scene Point Blank: Have you had a chance to tour the US? I know you have played here at festivals (I saw you at Fest 9). Aki: Yes, we have had The Fest 8, 9, 10. Awesome Fest 6, 7 so far. Scene Point Blank: Are there plans to come and see more of the US? Aki: We already have a plan for next year. Scene Point Blank: Is there anywhere specific you'd like to visit or play? Aki: Anywhere is fine. But it's not as important to visit some country and where to play. What is important is that perfect timing for us. Scene Point Blank: How do you set up your international tours? Is it through connections with other bands? Aki: Of course. Our friends are the only way for our international tours. We have a lot of bands in the States we admire. But we had no friends and a close band to rely on when we visited to the States for the first time a few years ago. Those are severe circumstances for us, you know. And it was just that time. The folks for Pretty Boy Thorson & The Falling Angels have helped us big during isolated times of the Fest 8 in Gainesville, FL. Scene Point Blank: Last month you did a tour of Japan with RVIVR. How did that go? Aki: It went well. That was really great tour. We have done the best we could to support them, and feel so happy if RVIVR had a good time in Japan. Scene Point Blank: How was playing with The Slow Death? I live in Minneapolis so that tour stood out a bit for me. Aki: Wow, you live in Minneapolis? That sounds good. There are great bands and awesome people there. Aki: All shows with The Slow Death were really amazing. But we wish Dave Strait and Jonny C was also visited to Japan with them. That's a bummer. 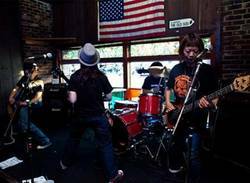 Scene Point Blank: Do you see a lot of different band line-ups when US bands come to Japan because of travel limitations for the members? Aki: Yeah, it often happens here. That's one thing. In a way, it was a precious experience for Japanese fans. Scene Point Blank: Are you working a new album? Aki: No. We're working a few new songs for the next EPs. Scene Point Blank: Anything you'd like to add? Aki: Thank you for asking so much. We wish for your continued success! Words by Loren on Sept. 29, 2014, 5:21 p.m.
Posted by Loren on Sept. 29, 2014, 5:21 p.m.
Posted Dec. 15, 2013, 9:51 a.m.
Posted Aug. 6, 2013, 7:56 p.m.
Posted June 9, 2013, 9:31 a.m.
Posted Nov. 17, 2013, 3:15 p.m.